Cut and load the ingredients. Your future cook does everything else. Prepare rice, rasam, sambar or sabzis. Tailor recipes to suit your tastes. 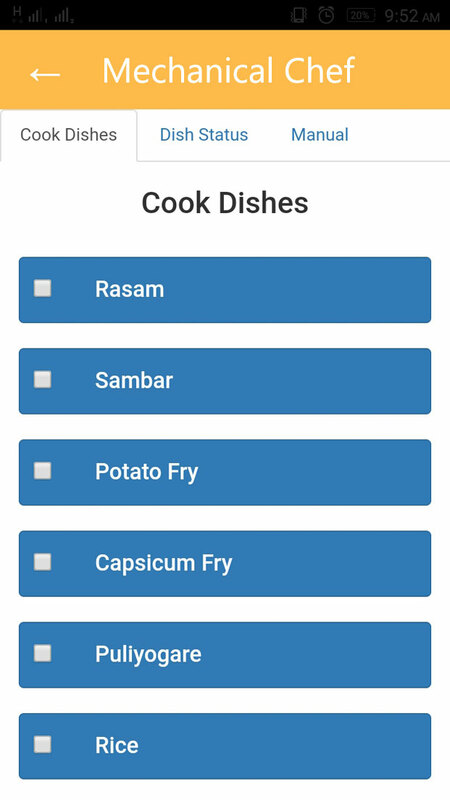 Use your phone to select what you want to cook and press "Start". Cook for and with relatives and friends from anywhere! Sign Up to See the Mechanical Chef! © 2017 Mechanical Chef. All Rights Reserved.